Enact The Emergency Order To Save Orcas And Oceans! Object: Enact the Emergency Order to Save the Orcas and Oceans! I am writing to you on behalf of over 100,000 concerned citizens that have signed our petition, asking you to save the Southern Resident Killer Whales (SRKW) and others. Other organizations have asked you to take emergency actions by the beginning of March. This species is on the brink of extinction, with only 76 family members left. They can be saved, but we need you to take immediate action. •	Stop Invasive Experiments and the Cumulative Impact of Research on Orcas - As other orca populations are also at low numbers all satellite darting (spearing) and skin biopsies, that permit a pathway for infections and cause deaths, must be stopped. The fragile ocean food chain has been broken for many years and needs to be immediately restored. Taking the necessary action to save the remaining SRKWs and others will also contribute to the general health of our oceans and wildlife. We trust you will do what is right and we sincerely look forward to hearing from you, as soon as possible. I hope that we will soon discuss a detailed plan with you to protect the wildlife and ecosystems. 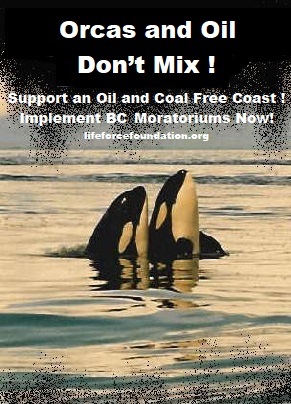 Enact the Emergency Order To Save Orcas and Oceans!.